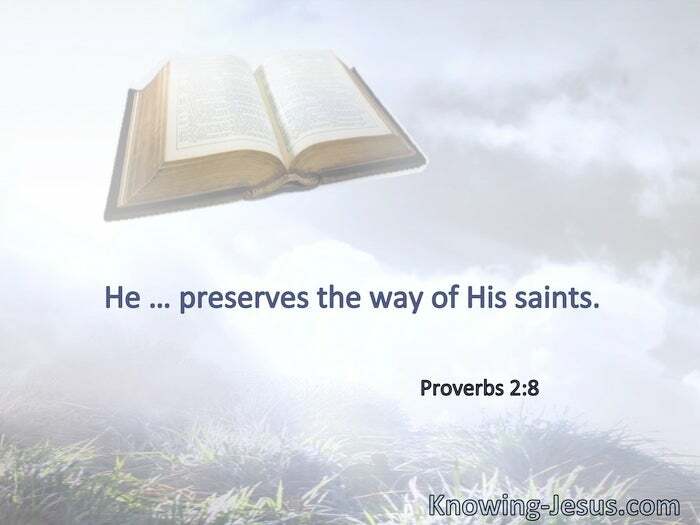 He … preserves the way of His saints. The Lord your God … went in the way before you to search out a place for you to pitch your tents, to show you the way you should go, in the fire by night and in the cloud by day. § As an eagle stirs up its nest, hovers over its young, spreading out its wings, taking them up, carrying them on its wings, so the Lord alone led him. § The steps of a good man are ordered by the Lord, and He delights in his way. Though he fall, he shall not be utterly cast down; for the Lord upholds him with His hand. § Many are the afflictions of the righteous, but the Lord delivers him out of them all. 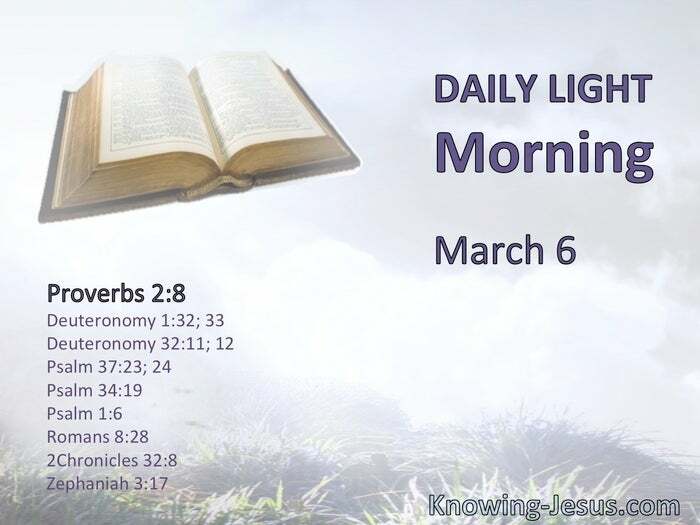 § For the Lord knows the way of the righteous, but the way of the ungodly shall perish. § We know that all things work together for good to those who love God, to those who are the called according to His purpose. § With us is the Lord our God, to help us and to fight our battles. The Lord your God in your midst, the Mighty One, will save; He will rejoice over you with gladness.